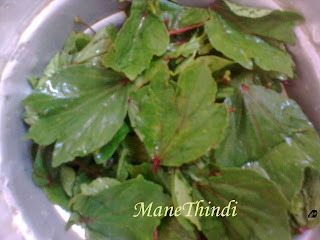 Gongura leaves - 2 Bunches-make sure you take only the leaves! Wash the gongura leaves well and strain the extra water. Take a saucepan and add 1 tsp oil and season with asafoetida .Now fry the gongura leaves in that. Add 1 tsp oil and season the gongura chutney with asafoetida ,mustard seeds . 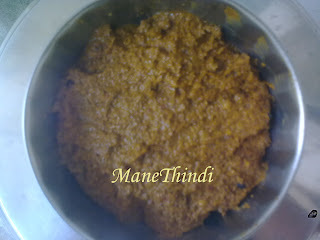 Now the gongura chutney is ready! Tastes best with hot rice ! Gongura is a very rich source of Iron, vitamins, folic acid and anti-oxidants essential for human nutrition.